It is possible and even likely that a user experiences daytime IR images when using a trail camera. 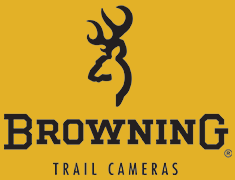 Each trail camera has a sensor on the front of it that detects the level of light at the sensor and determines if the IR flash should or should not be used. If a trail camera is installed underneath a heavy enough canopy of trees and/or the sky is dim from inclement weather or cloud cover then enough light will not make it to the cameras sensor and the IR flash will be used resulting in pictures as seen above. This can also occur during early morning or late evening hours when the light level is just at the threshold of if the IR flash should or should not be used. In trail cameras the IR mode is more sensitive to light than the color mode which means that in periods of low light the IR flash will be used. This is required because there is not sufficient light to properly produce a color image so the camera must use the IR flash. If you feel your camera is taking IR images during the day and it should not be there are two steps to take to ensure the camera is working properly and as described above. Remove the camera from where it is mounted and place it in full sunlight and allow the camera to take several pictures, either naturally or self triggered, and review them. If these pictures are in color then you are likely experiencing normal operation of the camera. You can use the Submit a Request button below to send an agent a few example pictures for review and based on those they will advise any needed course of action.